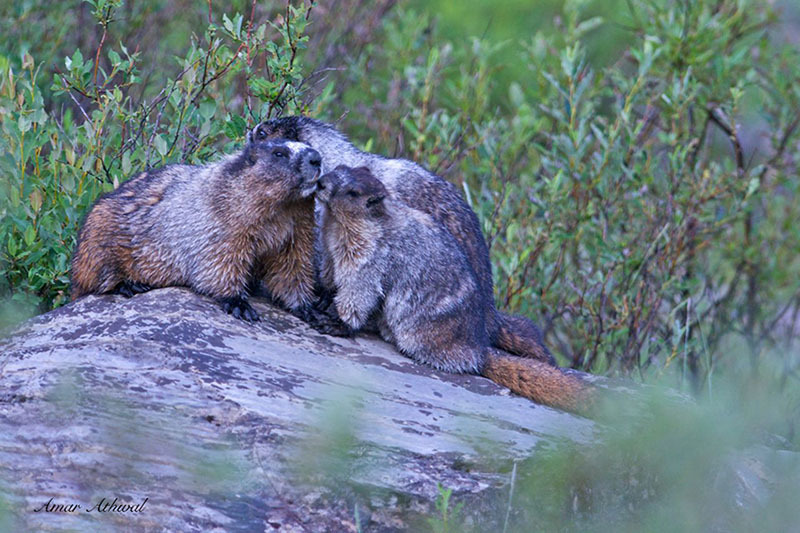 Was out and about on Yoho NP one morning, when I spotted these hoary marmots . They all gathered on top of this rock for few minutes before spreading out in the general area. They hibernate most of the year and when they are up, its a pretty relaxed lifestyle they lead.